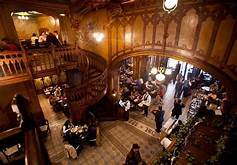 Rebounding from decades of repression, Romania’s capital is brimming with Italian-style cafes, museums, parks and restaurants that celebrate the country’s rich cuisine. Bucharest is like cilantro, a Romanian resident once told me: You either love it or hate it. But there’s much to love about a city that provides a less-expensive taste of Europe (Romania is in the European Union but not in the eurozone). Still grappling with allegations of government corruption and working to rebound from layers of grim history, the present-day capital remains a bit rough around the edges, but offers a rich ethnic culture, a resurgent arts and crafts scene, beautiful parks and a booming night life…..